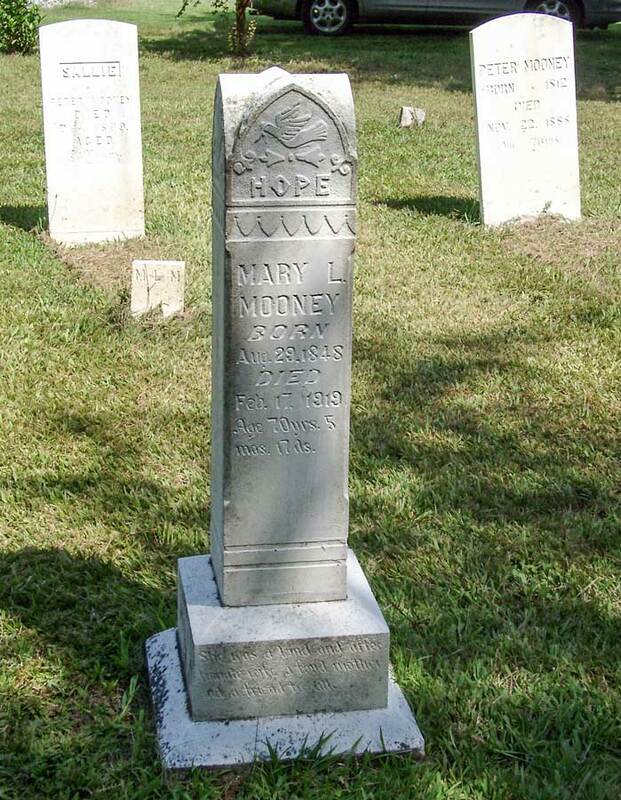 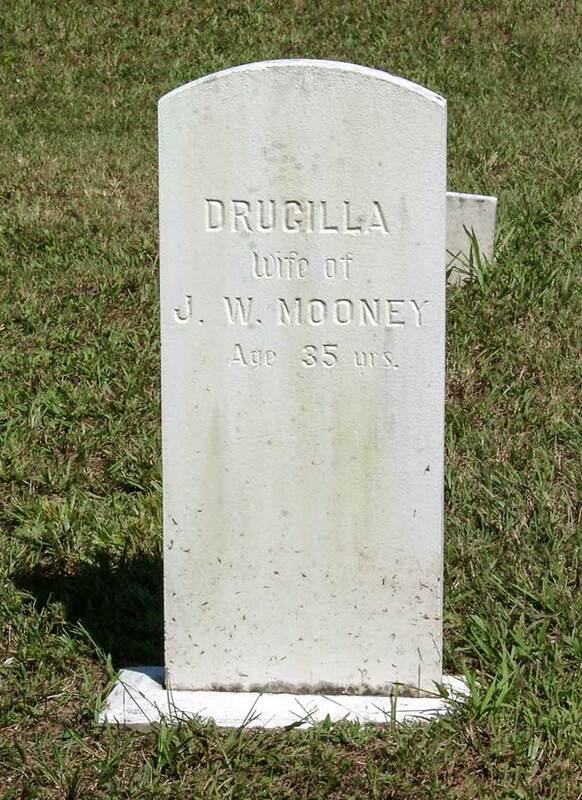 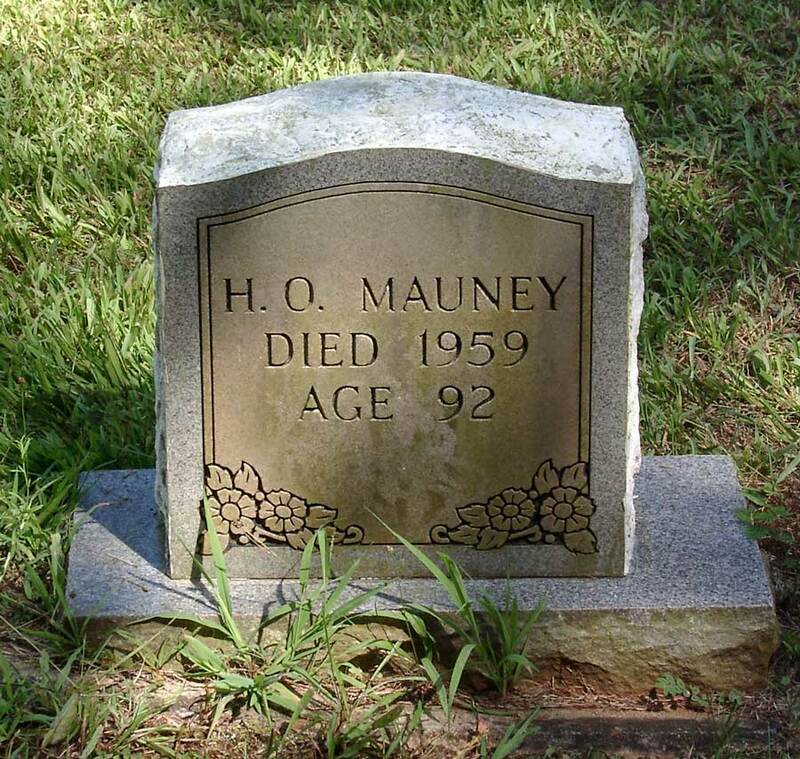 The Mooney/Mauney family cemetery is located just north of Lawndale, North Carolina, approximately 35.443° N 81.5735° W. From NC 182 in Lawndale, head north on Casar-Lawndale Road about 2¼ miles and turn left on Mauney Road. 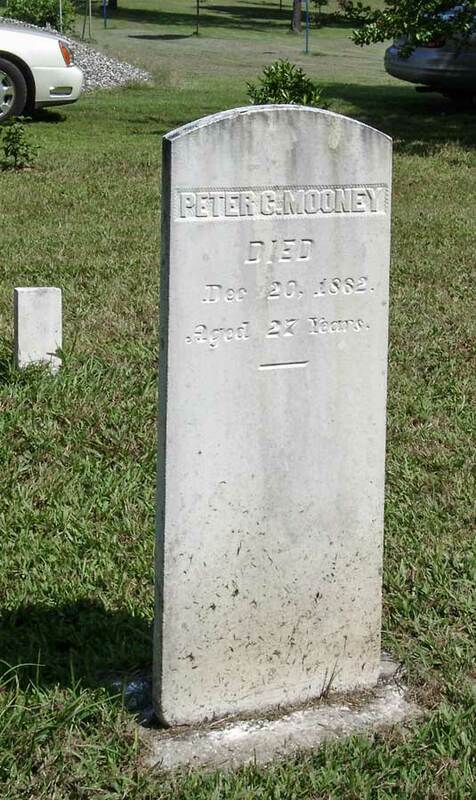 The cemetery's driveway will be on your immediate left. 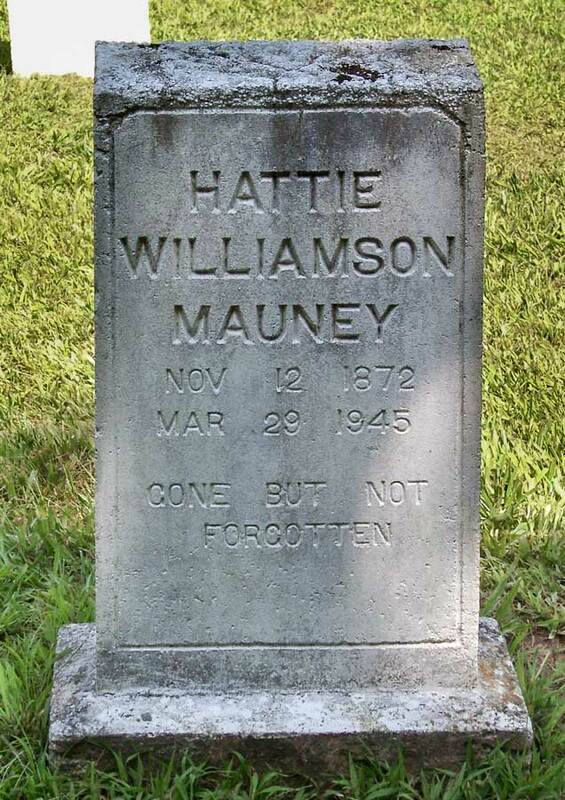 In satellite view on Google Maps you'll see just the driveway and the covering of trees. 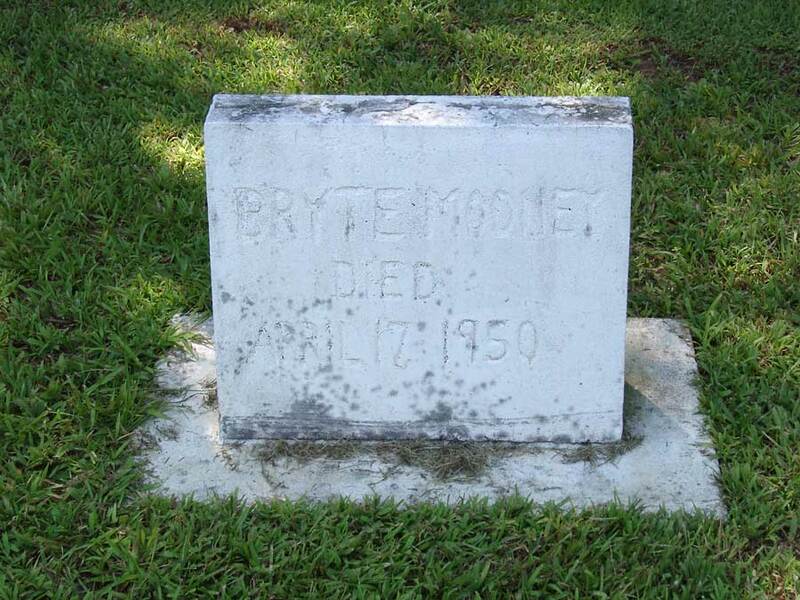 The spelling of the name perhaps varied in Europe depending upon which country ruled their home area at the time. 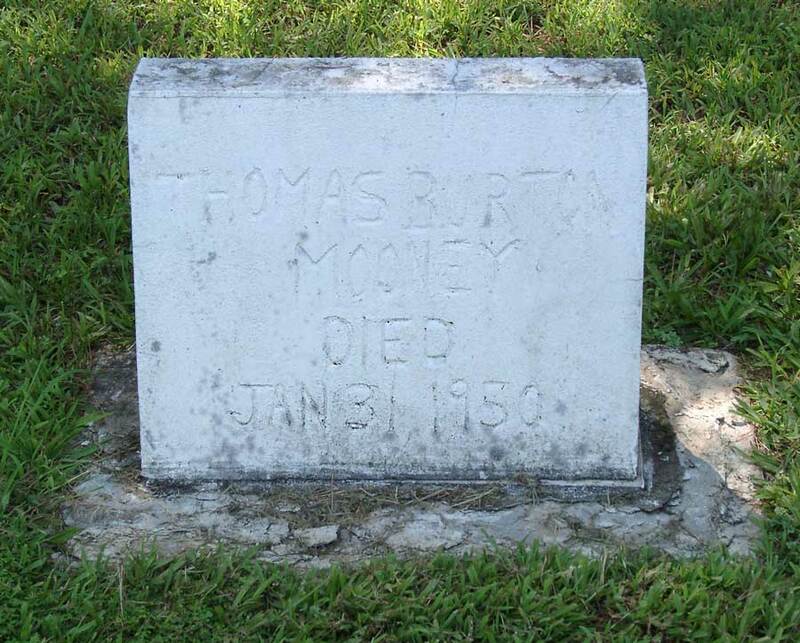 According to Bonnie Mauney Summers, the name came into this country spelled variously, including Muni and Money. 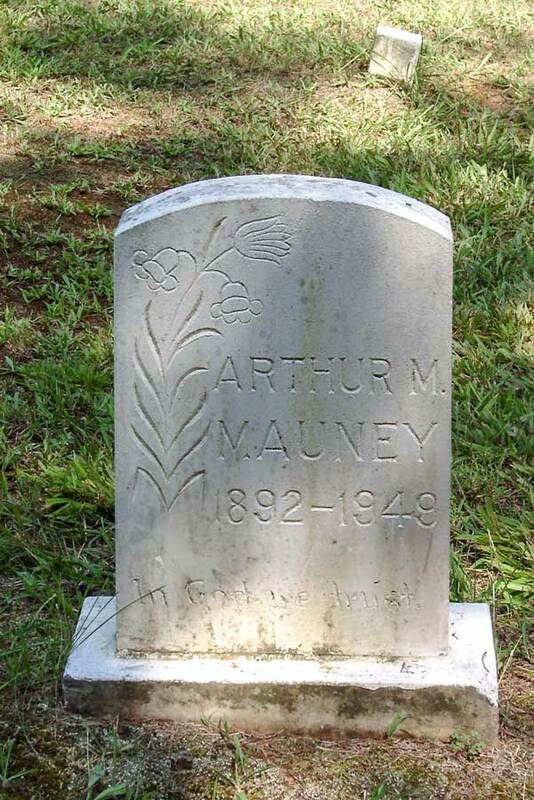 Around Kings Mountain, NC, most people spell it "Mauney." 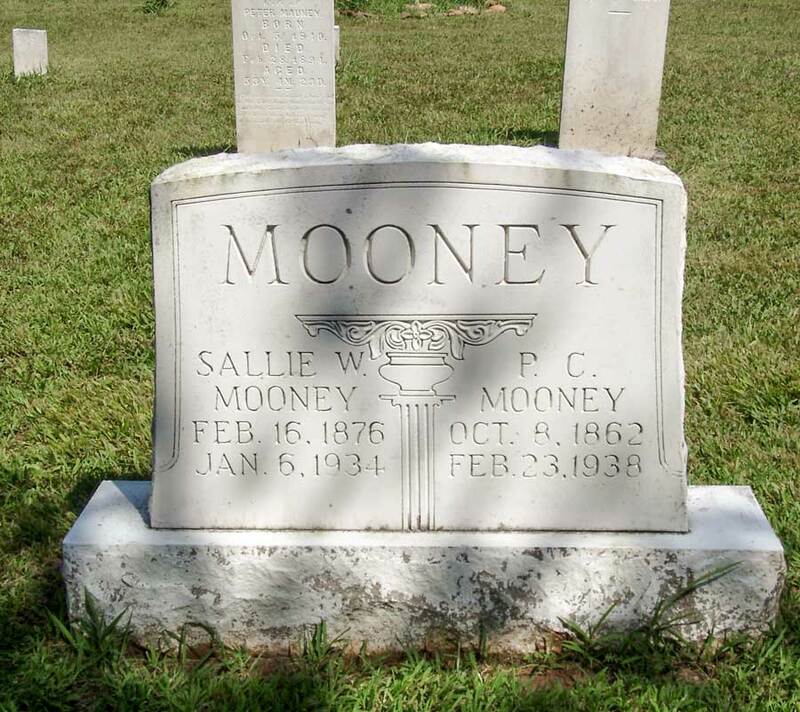 The family story I heard from my father was that some teacher long ago told one of his ancestors, "Oh, you don't want to spell your name that old German way," and our relatives in upper Cleveland County spelled the name "Mooney." 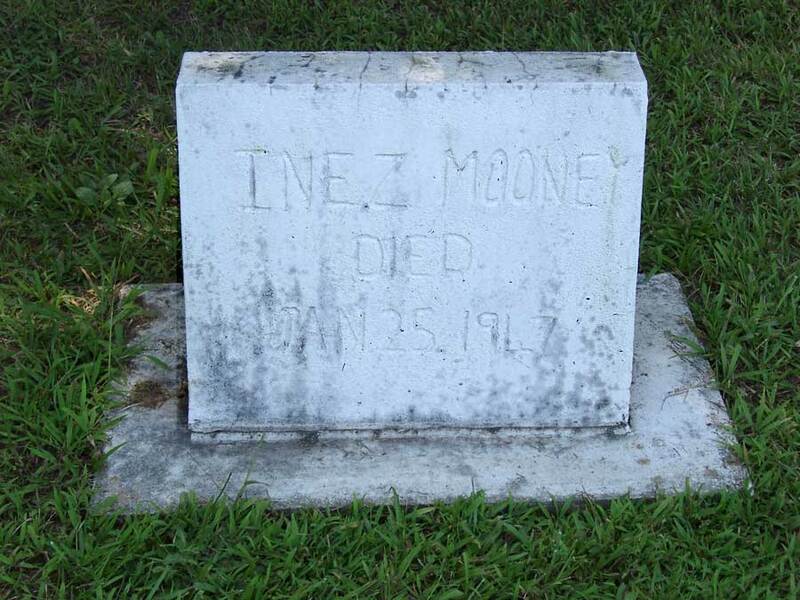 My mother used to say that the rich Mauneys pronounce it "MAW-ney" and don't claim kin to us poor folks. 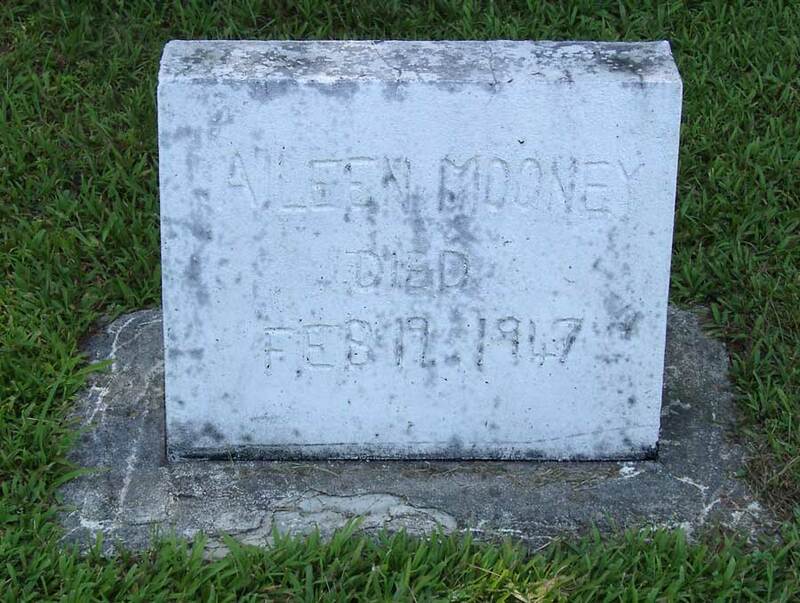 As you look at the pictures of the headstones, you'll see both "Mooney" and "Mauney" marking the graves of family members. 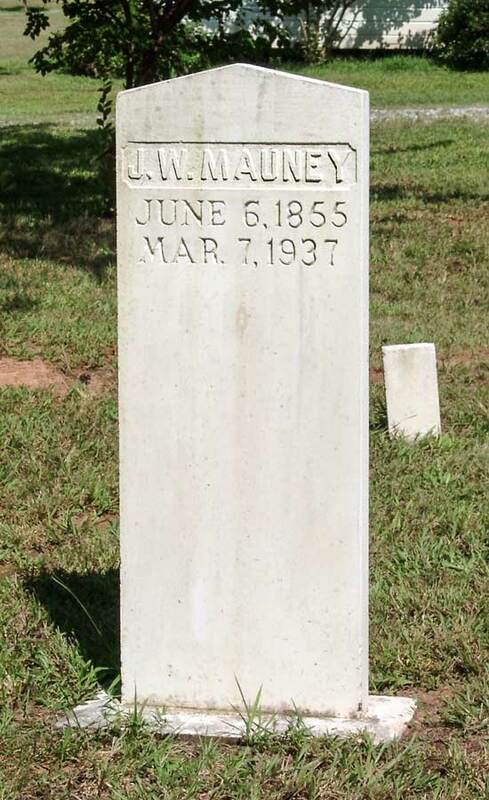 Some information on this page is based on Mrs. Summers' book Three Mauney Families from 1967, supplemented by the research of Dr. John Williamson (a friend and neighbor who compiled a notebook on my families as a gracious gift to me). 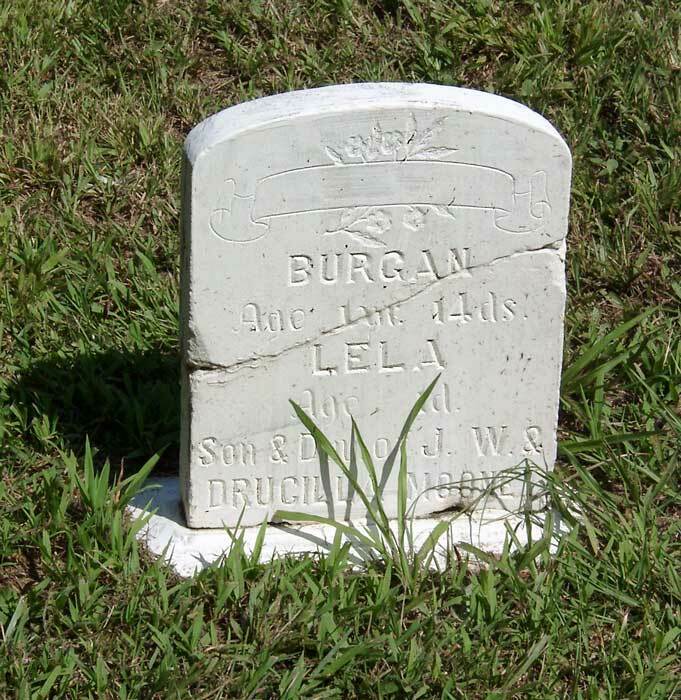 From the picture below you can see that it is a small cemetery. 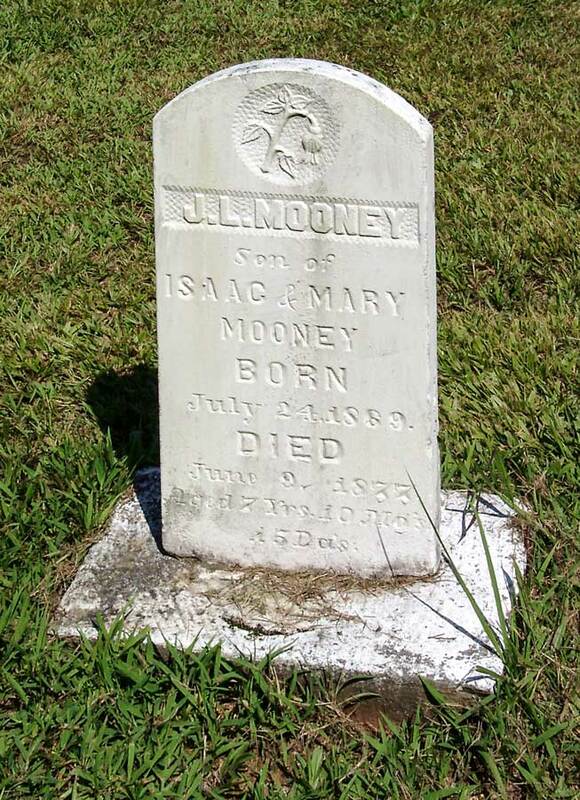 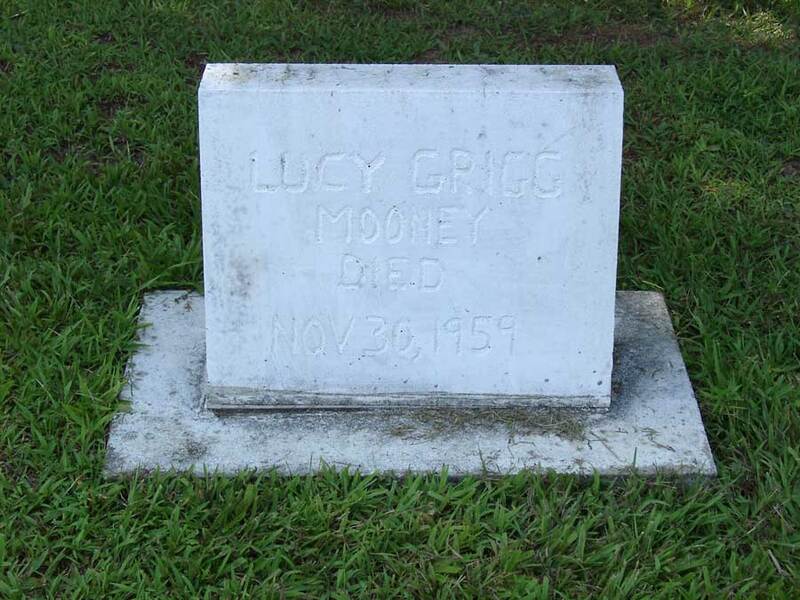 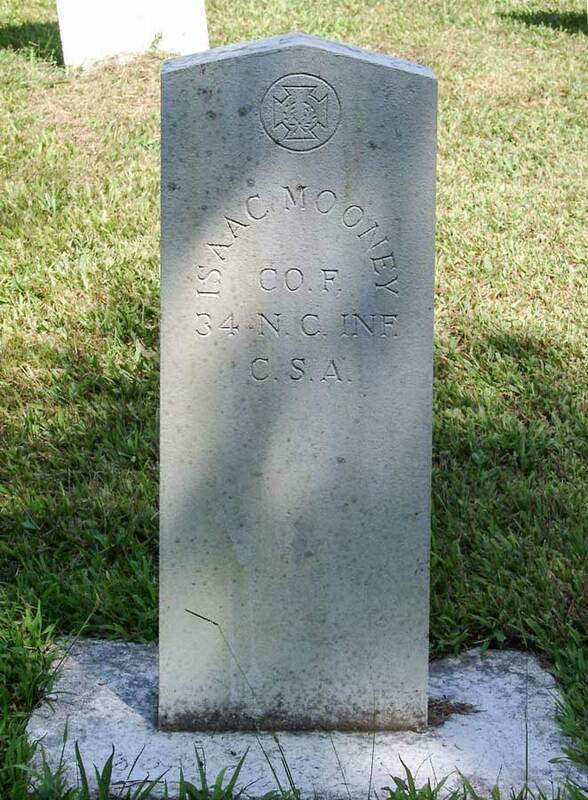 My father's maternal grandfather was Isaac Mooney. 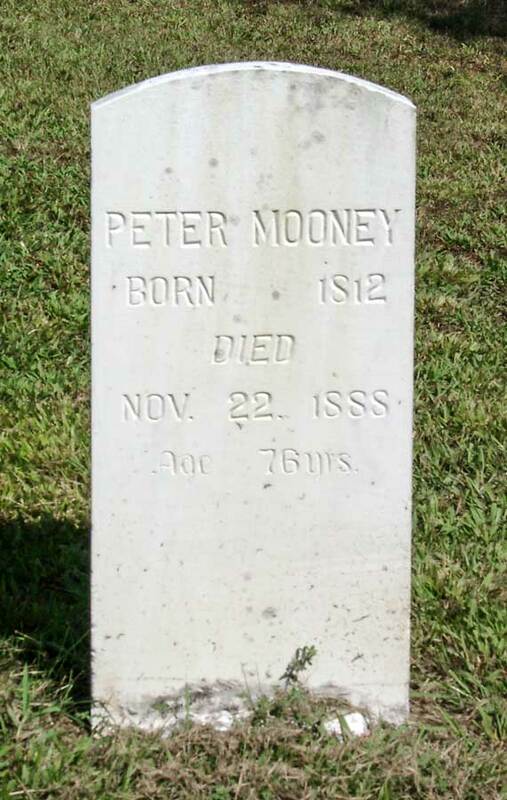 You can see pictures of him and read about my father's memories of him here. 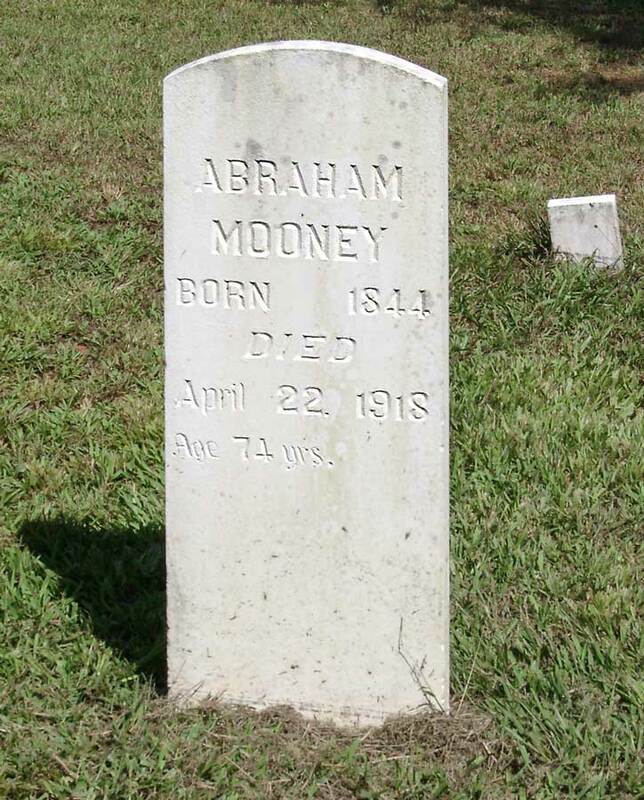 He was born in 1842. 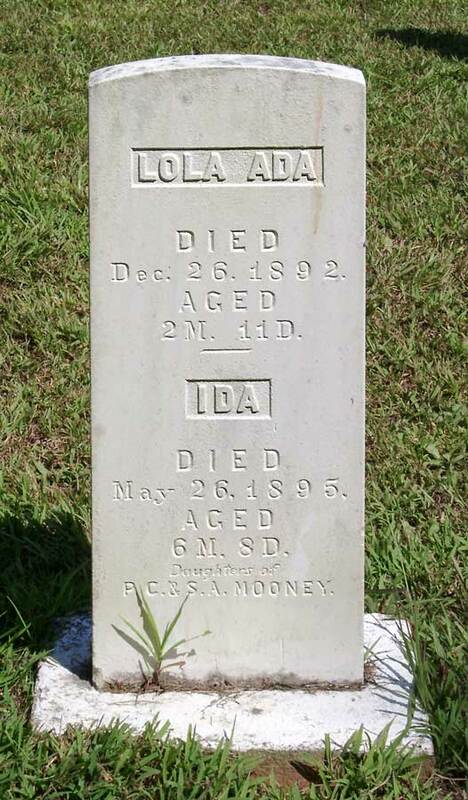 About 1868 he married Mary Lucinda Peeler, who was born in 1848 to David and Eliza Peeler. 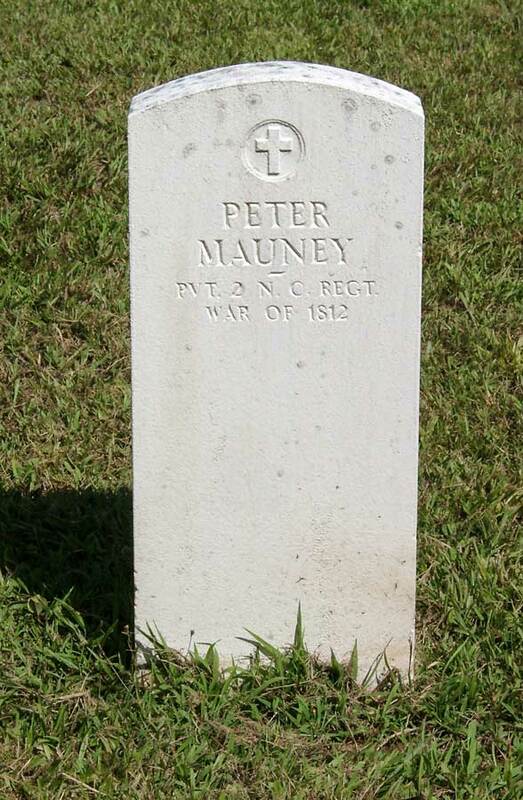 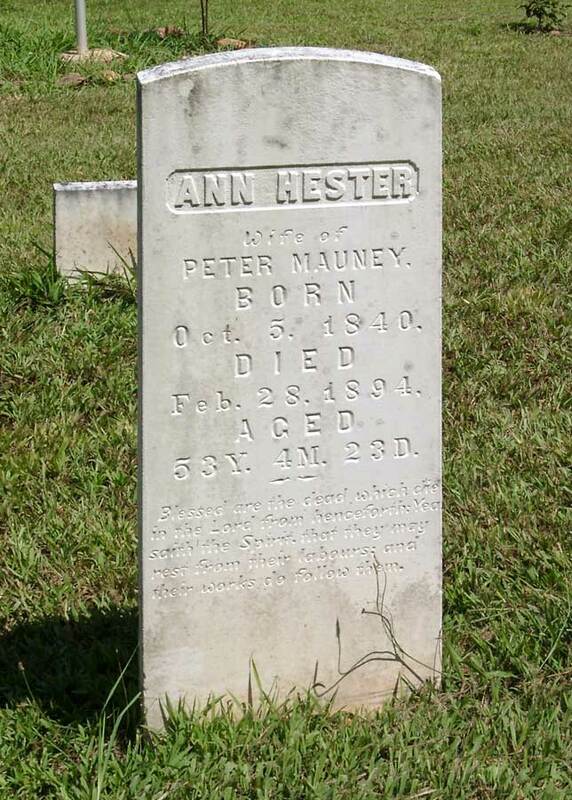 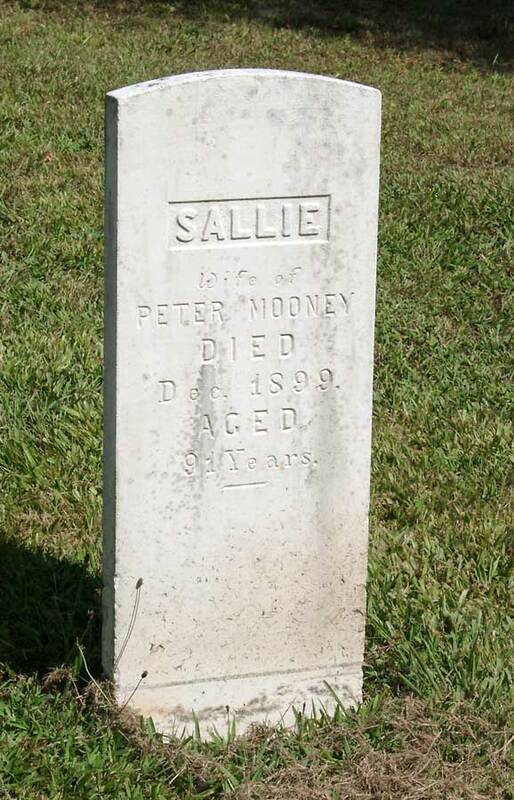 Isaac Mooney's parents, my great-great-grandparents, were Peter Mauney and Sallie Broome, who were married on September 7, 1830. 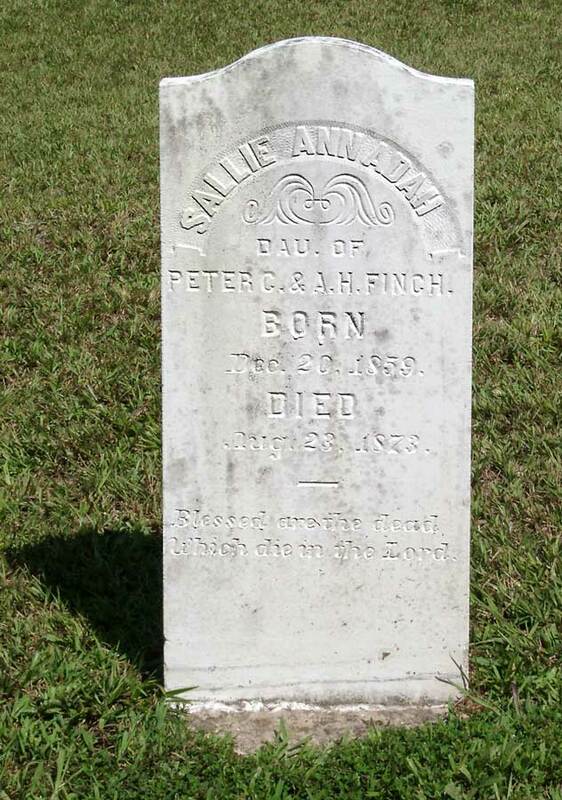 Their sons Jacob, Peter, and Isaac all fought for the Confederacy.